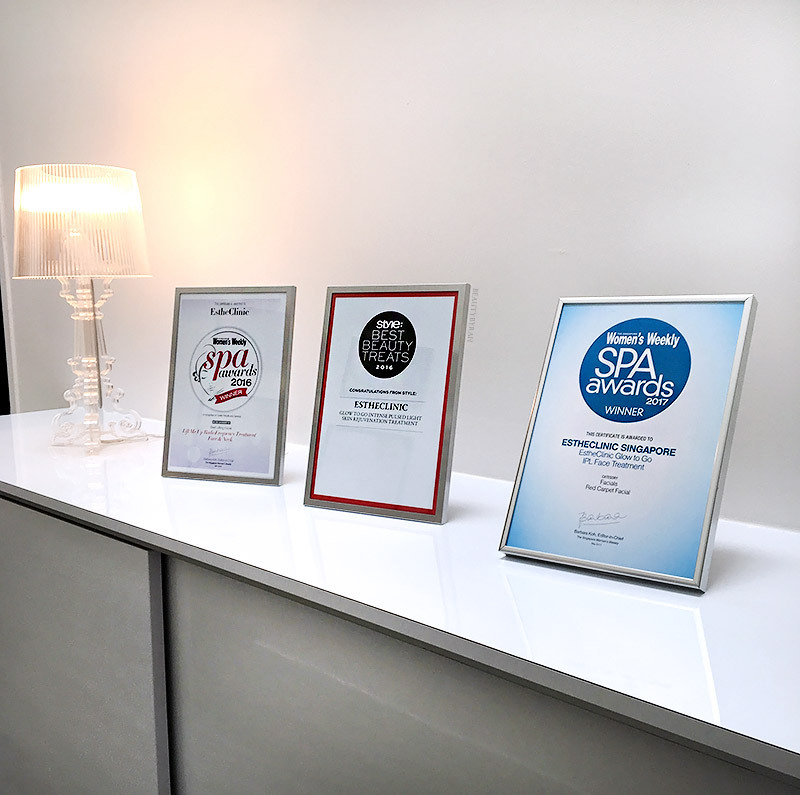 Recently, I dropped by Estheclinic to try out one of their Urban Skin Remedies, the Beat The Stress Programme. Due to Singapore being an urban landscape with a hot and humid climate, our skin naturally takes a toll from all the pollution, exposure to UV rays (let's not kid, Singapore is hella hot and we have a pretty high UV index- similar to Kenya in Africa even. See it here.) and all the stress from our daily hustle. 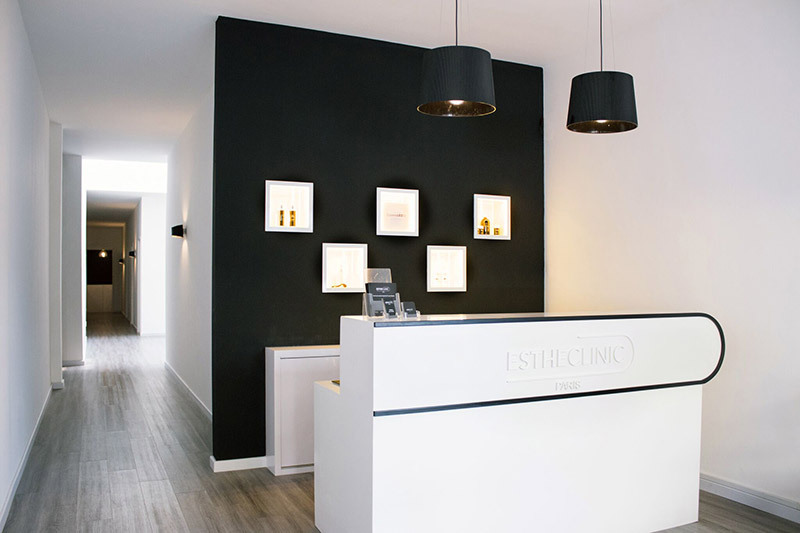 To combat these, Estheclinic recently came up with three new Urban Skin Remedies aesthetic treatment programmes, strategically curated just for busy urbanites as it is meant to be quick while being intensively effective. These programmes combine several technologies to target different urban typical concerns in a short period of time as combining technologies is one of the most effective ways to act on different layers of the skin to target specific concerns. 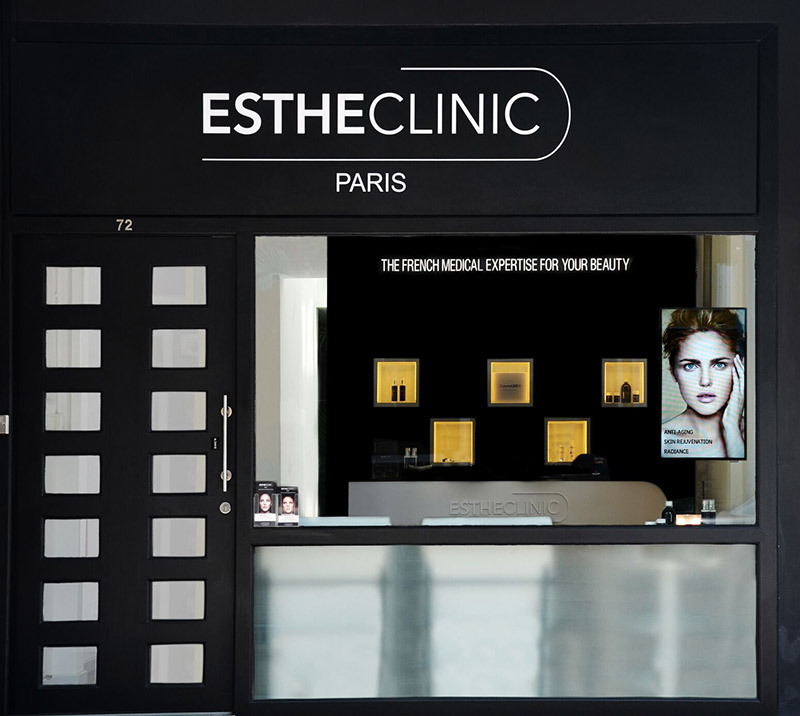 Estheclinic comes from France and provides a wide range of services from hair removal, body shaping and skin rejuvenation utilising aesthetic devices and cosmeceuticals from BVA Technology, a company which manufactures and distributies medical and aesthetic equipment to doctors and dermatologists throughout Europe for over 15 years. 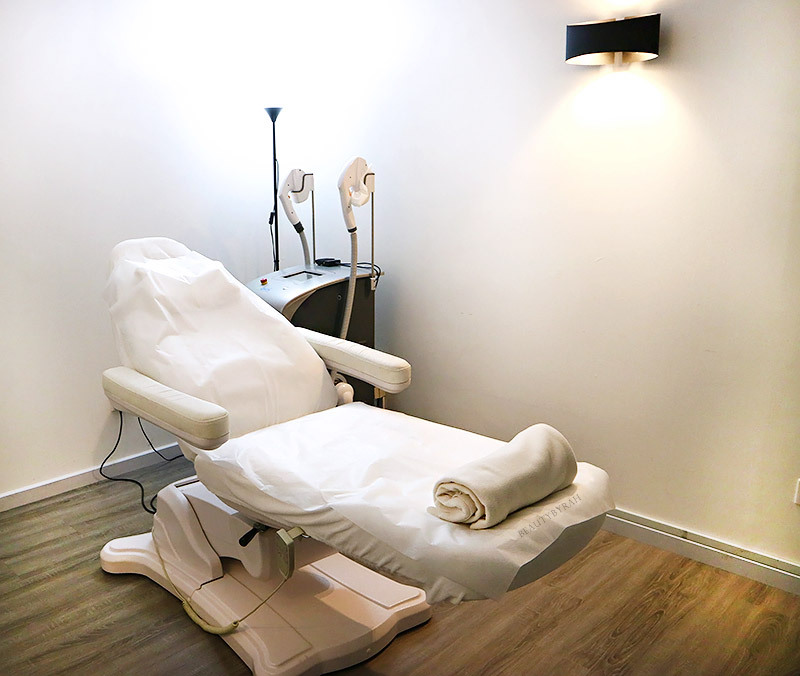 Currently, Estheclinic has branches across 15 different locations including Paris, Nice, Cannes, Marseille, Brussels, and there are 3 outlets located in Singapore. I met up with one of the consultants to decide which Urban Skin Remedies would be best suited for my current skin condition. As mentioned above, there are 3 - Beat the Stress (targets acne breakouts, oily skin conditions and clogged pores), Beat the Heat (targets hyper-pigmentation, dullness and sluggish skin) and Beat the Clock (target multiple signs of premature and natural ageing) programmes available. 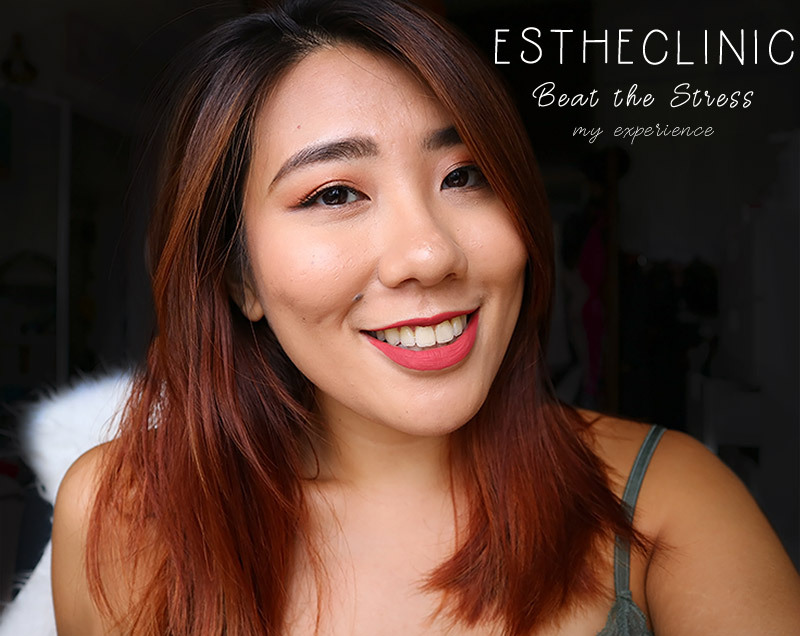 As I do have clogged pores (especially around my nose and chin area) and acne breakouts on my cheeks, I was recommended to undergo the Beat The Stress Programme. 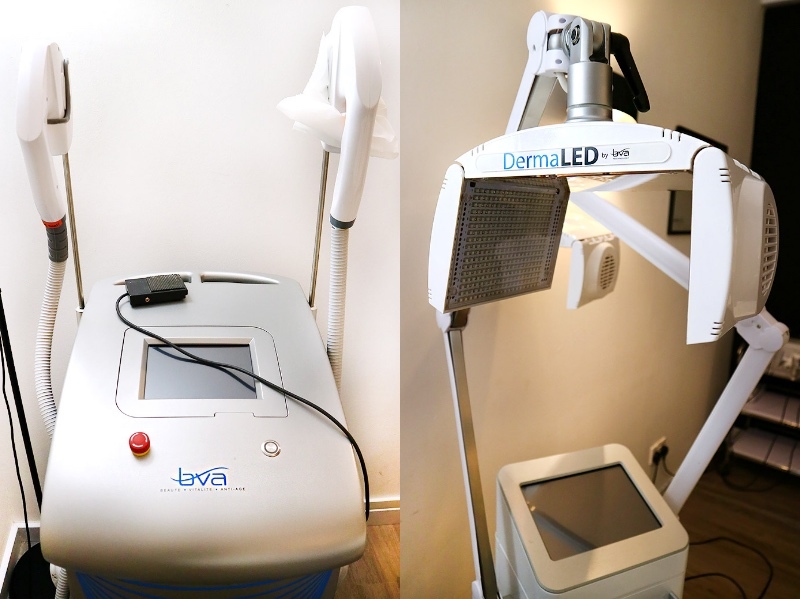 This programme incorportes the use of LED Modulation Treatment which uses natural and variable wavelengths of light to gently stimulate cellular activity and produce new collagen to reduce the signs of aging and Intense Pulse Light (IPL) which helps to to improve skin tone and texture and restore radiance through safe light energy. 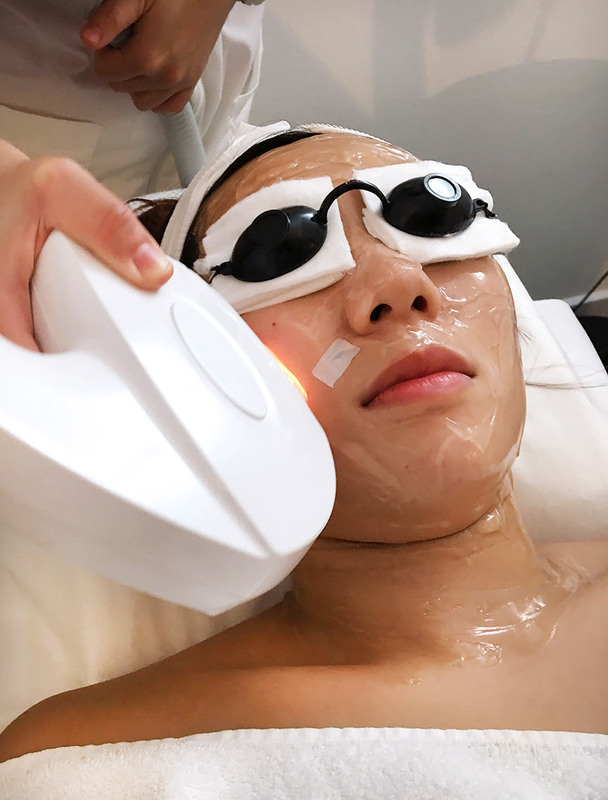 LED Photomodulation Treatment uses natural and variable wavelengths of light to gently stimulate cellular activity to calm sensitized skin, reduce inflammation and signs of aging. 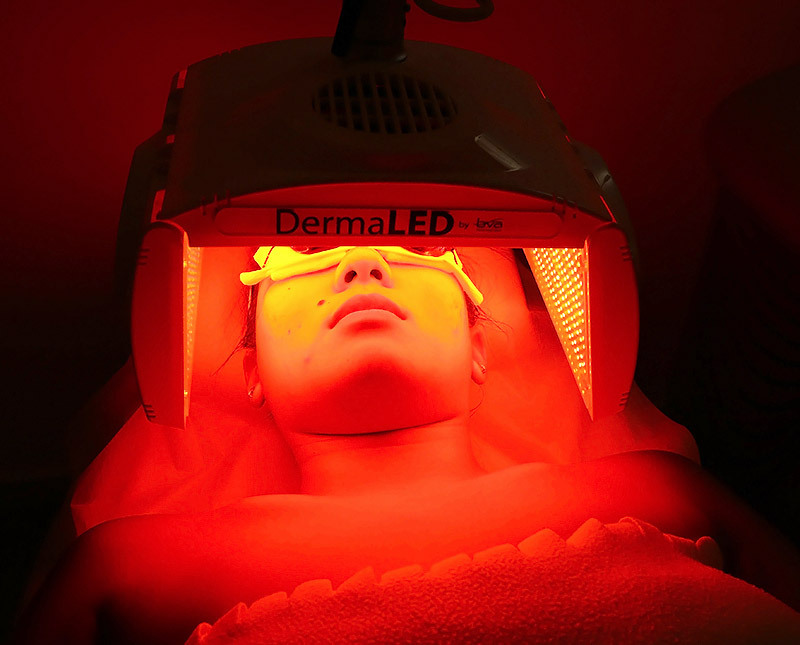 Using multiple light-emitting diodes (LED), this treatment exposes your skin to a precise sequence of light pulses that stimulate increased cell activity, making them act similar to younger cells that produce more essential proteins to restore the freshness to your visage, so you look ready to take on the day. Intense Pulsed Light (IPL), also known as photo rejuvenation, is based on emitting high intensity pulses of light to promote collagen production in the dermis and restore skin to a more youthful state with no downtime. IPL also smoothens and refines the skin as pores shrink in the course of several sessions. Fine lines and wrinkles are decreased and redness can be dramatically reduced. IPL photorejuvenation treatments restore a more youthful appearance and improve skin texture as it is effectively healed and rejuvenated from within. I headed down to the outlet at Tras Street at Tanjong Pagar which is pretty convenient as it is just downtown. There are quite a few treatment rooms available here and a treatment room is pretty huge (great for someone who tends to feel pretty claustrophobic in some). I had a total of 4 LED and 2 IPL sessions. As this programme is an intensive one, my sessions happened over a span of 2 weeks. The sessions with both IPL and LED took about 1.5 hours including makeup removal and application of skincare after. The LED was roughly about 45 minutes. There is no downtime and I was good to go right after. A typical session involved the removal of makeup and the cleansing of the skin, followed by the application of a gel to aid in the IPL treatment. If you were wondering, there was no pain involved. I mostly felt the applicator moving against my skin and bright flashes of light that were bearable thanks to the googles. After the IPL, the gel is removed and a serum is added, followed by the LED treatment. After my very first session of a combination of IPL and LED, I did notice that immediately, my skin became less red. 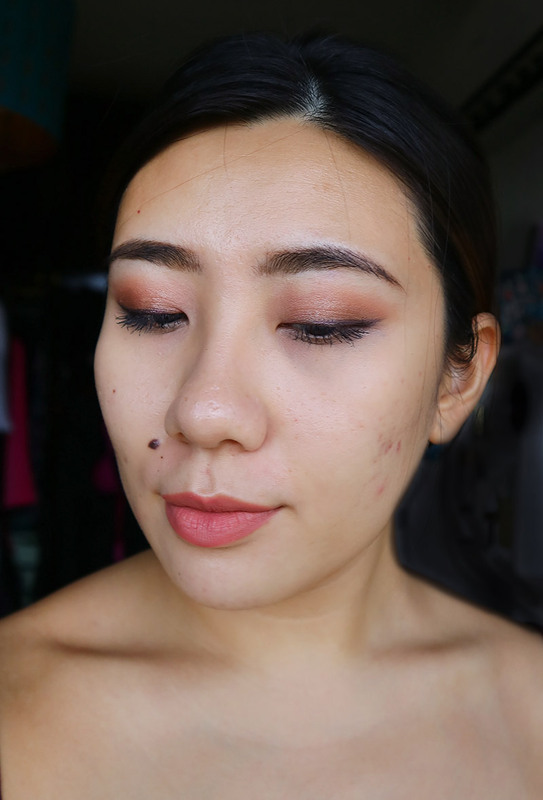 I have been getting quite a bit of redness, especially around my nose, and even a light coverage concealer fails to mask the redness sometimes. I did find that the LED truly calmed my skin down and I was pretty pleased. After all my sessions, I can say that the pores on and around my nose do look less noticeable and my skin looks brighter and less sluggish. I also do notice that the redness of my post acne scarring on my cheeks look less intense, but that in all honesty could also be due to a previous laser genesis treatment that I did about a few weeks back so I can't completely attribute it to this programme even though I am pretty sure that it helped. In terms of skin texture, I can't say I see much of a difference but then again, the texture on my skin is pretty difficult to tackle due to acne and scarring. The image above is without any base makeup and I think it looks pretty decent. The redness around my nose and cheek area is still noticeable but it definitely is less red. My skin tone is pretty even as well. Besides the acne scarring around the nose area, I could tell that the pores were less noticeable. Thus, for a quick burst of rejuvenation to the skin (perhaps before a major event), this programme does give pretty good results in a short period of time. I do think that this programme works as a quick pick-me-up for the skin and is hassle-free. The treatment does not take too long and I really like how there is no downtime. If you're interested, you can check out Estheclinic here. Disclaimer: This treatment was sponsored by Estheclinic for review consideration. I am not compensated or affiliated to the brand. The above review is based on my true and honest opinion and it also contains information from the brand itself.